Aromatherapy Properties: A brownish yellow to dark brown liquid with a warm, woody-spicy aroma. 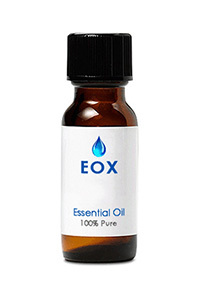 Blends well with oils of benzoin, clove, coriander, frankincense, ginger, grapefruit, lavender, and thyme. Spiritual Uses: Used by both the ancient Egyptians and Hebrews for anointing, Cassia has a long history of spiritual and magickal applications. As a Sun herb, it is effective in work involving consecration, protection, and the development of psychic connections. It is also reputed to have aphrodisiac properties. Blends well with: Black pepper, balsam, Caraway, Chamomile, Coriander, Ginger, Nutmeg, Frankincense, Geranium, Rosemary, and various citrus oils. History: One of the 50 fundamental herbs in Traditional Chinese medicine, and used by Moses to anoint the Ark of the Covenant in the Torah, Cassia has a long and storied history. It was offered as a component of the Ketoret, a consecrated incense mentioned in both the Torah and the Talmud, on the specialized incense altar in the time when the Tabernacle was located in the First and Second Jerusalem Temples. Cassia was well known to the Romans, who used it for a variety of purposes, including as incense and wine flavoring. Egyptian recipes for kyphi, an aromatic blend used for burning, included cinnamon and cassia from Hellenistic times onwards.